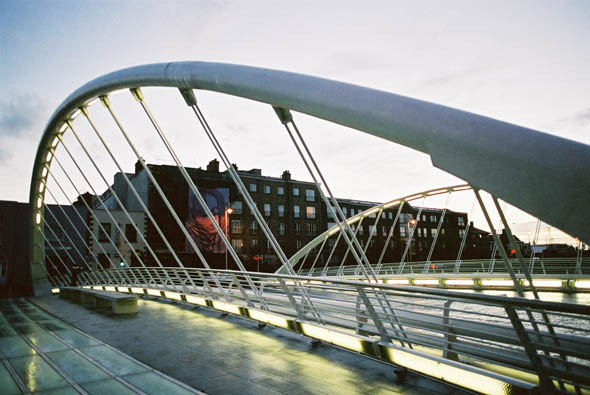 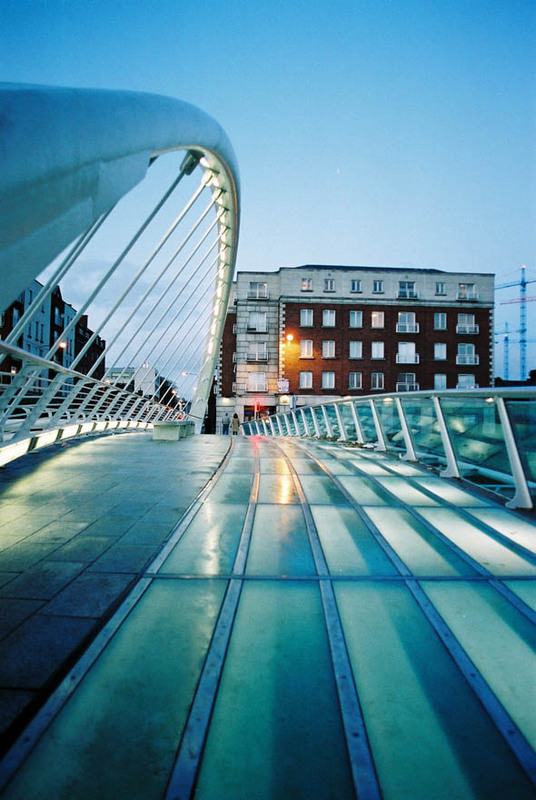 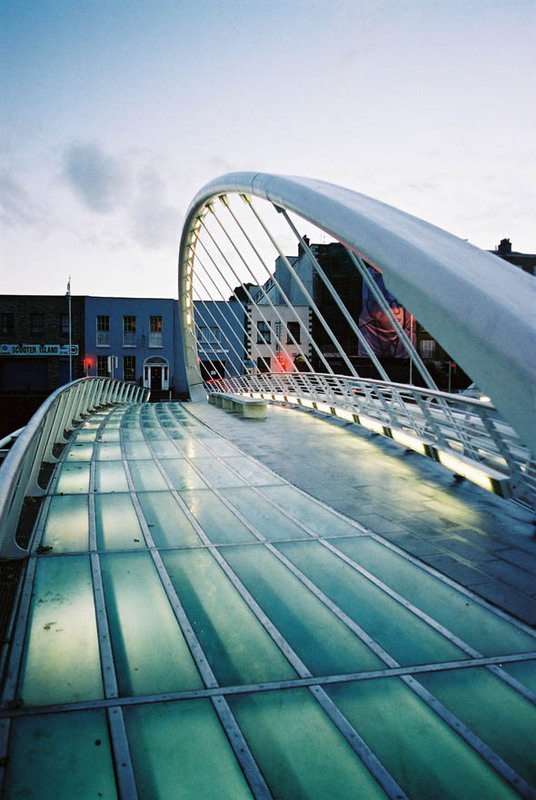 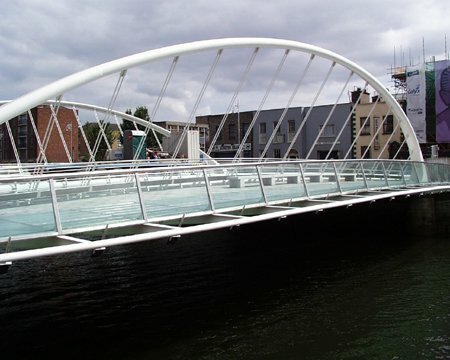 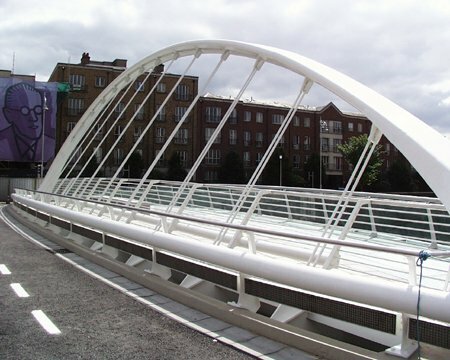 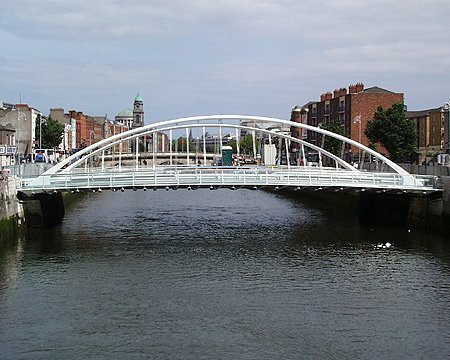 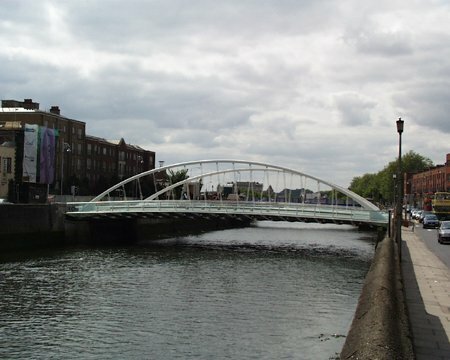 Named after the Dublin author James Joyce whose story “The Dead” is set in a house facing the bridge, this was one of two Santiago Calatrava projects planned for Dublin – the other, further down the river in the docklands, was not completed until 2009. 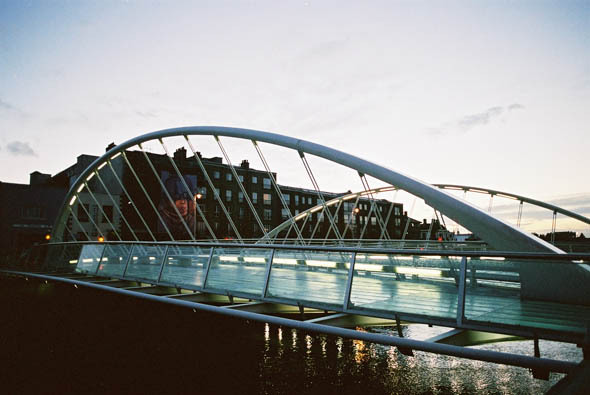 The James Joyce Bridge looks equally fine at night due to its integral lighting. 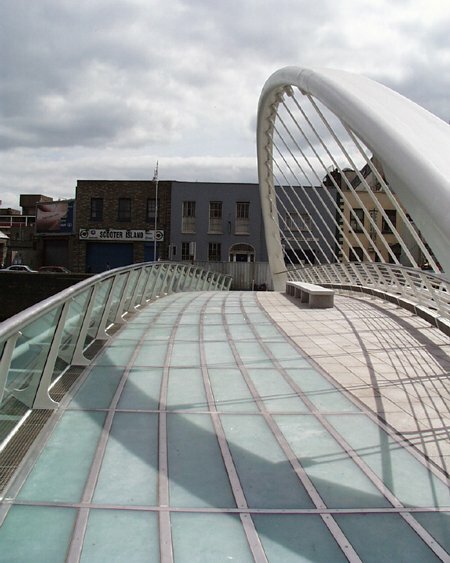 The lighting highlights the glass pedestrian walkways as well as the structural arches.